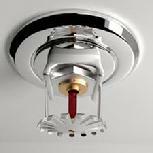 Freedom Fire Protection offers design, installation and maintenance of your fire sprinkler and protection needs. With over 50 years of combined experience we guarantee quality service and performance. Installation of all kinds of sprinklers and fire protection products. From homes to skyscrapers, Freedom Fire Protection will serve all of your fire protection needs.